Fonya (aka Chris Fournier) returns with what I think is his sixth release. Fonya is a solo artist who plays acoustic and electric guitars, bass, and keyboards. His music is classic symphonic progressive but with an often cosmic mind expanding edge. The music has such a luscious full band sound that it's hard to believe that Fournier is doing it all himself. Musically early Genesis is a close comparison with the guitars having a beautiful soaring Steve Hackett sound, and the keyboards, while certainly giving the music a heavy symphonic sound, also journey into spacier realms. The vocals are similar to Jon Anderson, though more in the melodic structure than necessarily sounding like Anderson. Tracks like "Fat Off The Land", "The Light Breaks Through" and "Remember The Bombs" are representative of Fonya's symphonic prog sound that also features his spacier leanings. On "Fat Off The Land" he plays Tony Banks inspired keyboard melodies that are smoothly overtaken by a cosmic guitar and swirling synths. This is really majestic stuff with beautifully uplifting guitar and keyboard melodies. "The Light Breaks Through" has a strong early Genesis feel, but with trippier synth explorations. 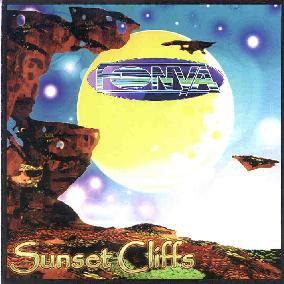 "Remember The Bombs" is a further example of Fonya's classic progressive sound but with more cosmic guitar and synth work. A gorgeous track that travels through several movements. Probably my favorite on the CD. Another standout is "Crashed" which features nice acoustic guitar soloing against a cosmic orchestral background. And Fonya's searing guitar rocks out on the closing track, "As Our Orbit Decays". Another one of my favorites. This is the fourth Fonya disc I've heard and I've enjoyed each subsequent release better than the previous. Fans of symphonic progressive rock that love the old sound but don't like clones would do well to check out Fonya. He draws just enough from multiple influences to make the music his own. For more information you can visit Fonya at his web site.